Why are all most decadent and unique bakeries and restaurants only in New York City? New York is home to the legendary brownie shop: Fat Witch Bakery, the famous peanut butter store: Peanut Butter & Co., the classic American dessert and cupcake store: Magnolia Bakery, and my latest discovery….The Meatball Shop! I’ve never been to The Meatball Shop, but the next time I’m in NYC, I’m stopping by! The idea for their restaurant is brilliant. Specializing meatballs, this restaurant definitely thought outside of the box! Their menu sounds great: Meatball choices include chicken, beef, pork, vegetable, or the “special ball of the day!” In addition, you can choose to pair your meatballs from one of six sauces: classic tomato, spicy meat, mushroom cream, pesto, parmesan cream, or special. Finally your meatballs and sauce are served “naked” with a side of Focaccia Bread, on a Brioche bun or baguette, or with a salad and veggies. My mom recently bought The Meatball Shop Cookbook, and this weekend we made the Classic Beef Meatballs with Classic Tomato Sauce. All I can say is “Wow!” these meatballs are great! They were extremely easy to make and you even get to mix the meat mixture with your hands! The simple part also stems from the fact that you bake the meatballs, instead of pan-frying them on the stove. Frying them on the stove requires more effort since you have to constantly roll the meatballs over to brown them on all sides. 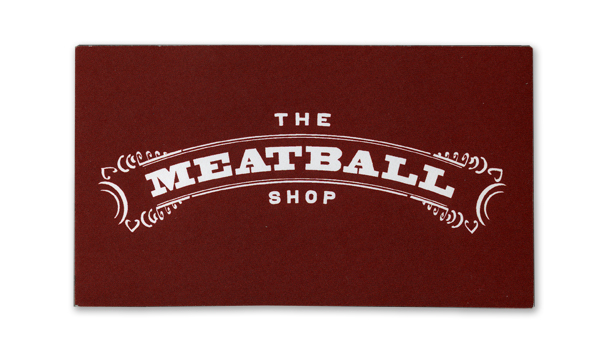 My only complaint about The Meatball Shop….they don’t have a location in Dallas! 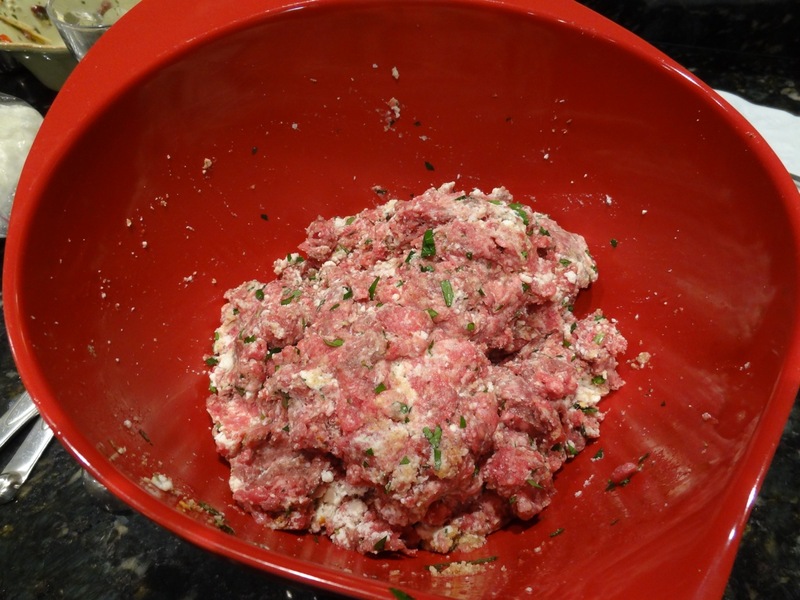 Combine ground beef, ricotta, eggs, bread crumbs, parsley, oregano, salt, red pepper flakes, and fennel in a large mixing bowl and mix by hand until incorporated. Roll mixture into golf ball sized meatballs (about 1 1/2 inches), and place into a baking dish, drizzled with olive oil. Roast meatballs in a 450 degree F oven for 20 minutes, or until meatballs are cooked through and have an internal temperature of 165 degrees F.
Heat olive oil in large pot (I used a skillet) over medium heat. Add onions, bay leaf (I omitted), oregano, garlic and salt, and cook for 10 minutes, until onions are soft and translucent. Add the tomato paste. Cook for another 5 minutes. Add tomatoes and stir until sauce boils. Lower the heat and simmer. At this point, I added the meatballs (which I made the day before and refrigerated) and simmered for the next 20-30 minutes. Meanwhile, cook spaghetti. Serve meatballs and tomato sauce over cooked pasta. Sprinkle some Parmesan or Pecorino Romano cheese on top and you are good to go! 1. Combine the ground beef, ricotta, eggs, bread crumbs, parsley, oregano, salt, red pepper flakes, and fennel in a large mixing bowl and mix by hand until thoroughly incorporated. 2. 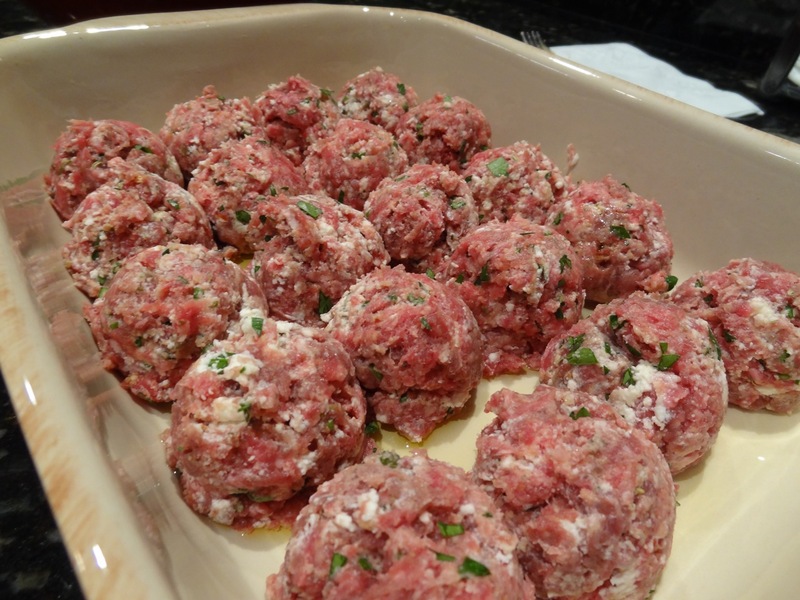 Roll the mixture into round, golf-ball-sized meatballs (about 1 1/2 inches), making sure to pack the meat firmly. For a perfect sized-ball, use an ice-cream scoop, it will make this process 10x easier. 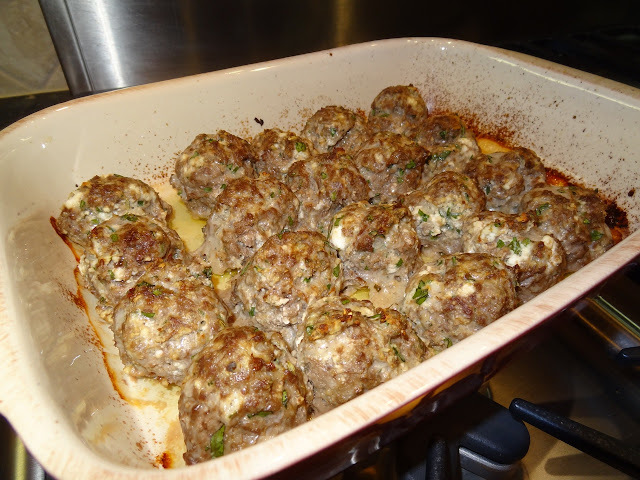 Place the balls in the 9×13 inch baking dish drizzled with olive oil. Be careful to line them up snugly and in even rows vertically and horizontally to form a grid. The meatballs should be touching one another. 3. 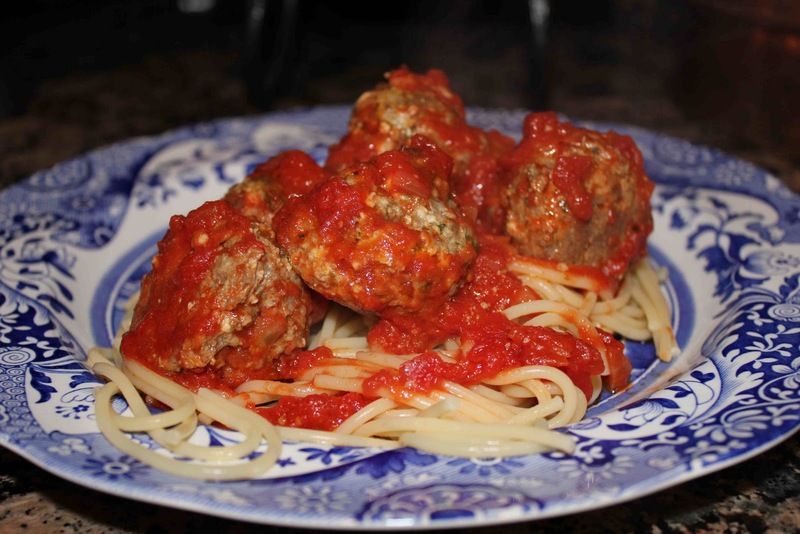 In a preheated oven set to 450 degrees F, roast for 20 minutes, or until the meatballs are firm and cooked through. A meat thermometer inserted into the center of a meatball should read 165 degrees F.
4. 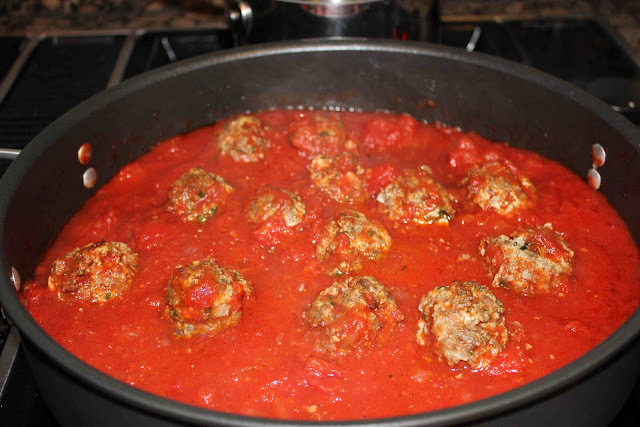 While the meatball are roasting, heat the tomato sauce in a small saucepan over medium-high heat, stirring often. 5. When the meatballs are firm and fully cooked, remove from the oven and drain the excess grease from the pan. Add meatballs to sauce and simmer. 1. Heat the olive oil in a large pot over medium heat. 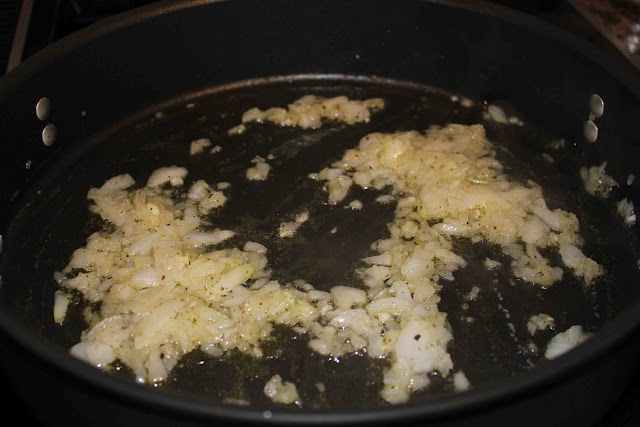 Add the onions, bay leaf, oregano, garlic and salt, and cook, stirring often, until the onions are soft and translucent, about 10 minutes. 2. Add the tomato paste and continue cooking for 5 minutes. Add the tomatoes and stir constantly until the sauce begins to boil. Lower the heat and simmer for 1 hour (I simmered for 30 minutes), stirring every 5 minutes or so to prevent the sauce on the bottom of the pot from burning. Taste and season with additional salt, if desired. Remove the bay leaf before serving. 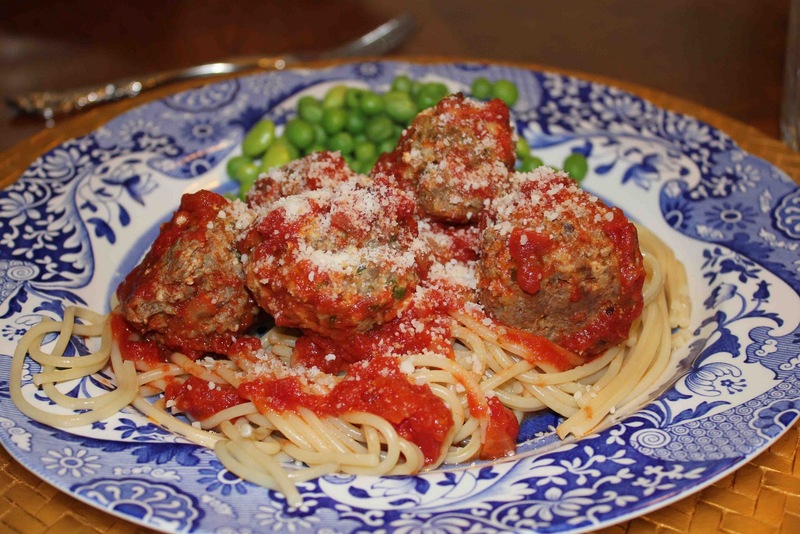 4 Responses to "Classic Beef Meatballs in Classic Tomato Sauce from The Meatball Shop in NYC"